Italian pianist Paolo Di Sabatino comes back to Atelier Sawano with his fifth album for the Japanese label. Following the previous album Luna Del Sud which added horn players to the mix, he returns to the piano trio format. The album shows Di Sabatino's flexibility in terms of both style and material. It begins with the title track--an original by Di Sabatino--that is pretty on surface but quite complex and technical in terms of composition. In a stunning transition, it is followed by jubilant, Latin-tinged cover of "Funji Mama" by Blue Mitchell. The amazing and delightful piano solo on this track is definitely a highlight. Very charming and enjoyable, even magical. This is one of the best piano trio CDs released in 2012! Very highly recommended! Recorded 2012. Brazilian pianist/composer Antonio Adolfo has been making important contributions to the Brazilian-Caribbean musical discography for 40-plus years. His most recent recordings—Chora Baiao (Self Produced, 2011), with Adolfo as leader, and La e Ca (AAM Music, 2010), made with daughter, vocalist Carol Saboya—display the results of a careful evolution of jazz through Caribbean and South American music, from trumpeters Kenny Dorham And Dizzy Gillespie's "Afro-Cubano" revolution of the mid- '50s and the bossa nova of the 1960s. On Finas Misturas (Fine Mixtures), Adolfo wanted to mix his compositions in with some notable jazz standards and apply his exceptional arranging and performance method to the mix. His result is a collection of ten pieces—six original compositions and five jazz standards—that meld together, forming a Brazilian Suite that is elegantly humid with the gentle swing of a warm wind. Adolfo, with no small amount of cunning, applies his recipe to John Coltrane's cranky and demanding "Giant Steps," with Claudio Spiewak's acoustic guitar softening all of the hard edges and cushioning Marcelo Martins's almost anti-Coltrane tenor saxophone. The pianist does the same with Coltrane's "Naima," his feathery playing lightening the compositional gravity of both pieces. Dizzy Gillespie's "Con Alma" fits most perfectly in to Adolfo's program, illustrating what can be done to update perfection, while Adolfo's own "Tres Meninos" buddies well with Chick Corea's "Crystal Silence" and Bill Evans' "Time To Remember," closing Finas Misturas in fine fashion. Floresta Azul (Blue Forest); Balada (Ballad); Giant Steps; Con Alma; Misturando (Mixing); Memories of tomorrow; Naima; Tres Meninos (Three Little Boys); Crystal Silence; Time Remembered. Antonio Adolfo: piano; Leo Amuedo: electric guitar (1, 4-8); Claudio Spiewak: acoustic guitar (2-5, 9); Marcelo Martins: tenor saxophone, flute (1, 3-5, 7, 9, 10); Jorge Helder: double bass; Rafael Barata: drums and percussion. Saxophonist Matteo Sabattini's Dawning (Fresh Sound New Talent, 2011) delivered a potent shot of modernism in direct fashion, and though this followup occasionally finds him treading on similar ground, he does so in more expansive, low key and exploratory fashion. Sabattini has a tendency and willingness to look toward the horizon, work in the shadows and dial down the intensity here, which sets his music on a fascinating and winding course; in other words, the journey is far more interesting and important than the destination on Metamorpho. A sense of searching and soul-baring is par for the course during this ten-song affair, but that doesn't mean the music can't pack a punch. Sabattini starts things off with an off-kilter, semi-aggressive, cyclical structure that's wonderfully dizzying ("Like A Butterfly"), but runs counter to the spirit of the album, and the title track opens on some hard-hitting drum work from Obed Calvaire. "Dreaming Loud," while not completely living up to its title, probes a bit more than the majority of this material and features some A-plus solo work from pianist Aaron Parks and guitarist Mike Moreno. Parks, the only on-record newcomer in Sabattini's New York Quintet, does a superb job sculpting moods and taking cues throughout this program. Moreno proves capable of delivering gauzy, ethereal lines or laser-like statements as needed and he even makes a rare appearance with his acoustic axe during a duo encounter with the leader ("Fooling The Mirror"). Sabattini's curious and suggestive musings take over elsewhere, giving pause to admire a side of his work that only came out on rare occasion in the past. He can still take the music from subdued environs to great heights ("Tears Inside"), but he's also comfortable with mellow, below-grade explorations. The lone cover on the program, a moods-for-moderns, reworked version of the oft-covered "Body & Soul," is a perfect example of Sabattini's commune-with-the-calm that takes place on multiple occasions. It's hard to say whether the title refers to the development of Sabattini's playing, as he unfurls interesting idea-after-idea, or his music, which can take kaleidoscopic turns at times, but it works on both accounts. Metamorpho finds an original voice, in good company, making thought provoking music that reflects jazz in the modern epoch. Like A Butterfly; Tears Inside; Invisible Shield; Metamorpho; Painted Hills; Body & Soul; Yuna; Fooling The Mirror; Dreaming Loud; QQ. Matteo Sabattini: alto saxophone; Mike Moreno: electric guitar, acoustic guitar (8); Aaron Parks: piano; Matt Clohesy: bass; Obed Calvaire: drums; Chris Potter: tenor saxophone (4). It seemed inevitable. After working with Italian trumpeter Enrico Rava on 2013's Michael Jackson tribute, Rava on the Dance Floor, and 2011's more intimate Tribe, it should come as no surprise that pianist Giovanni Guidi—the only connecting thread between those two records (other than, of course, Rava)—should find himself with an opportunity to make his own record for the label. City of Broken Dreams comes with its own intrinsic continuity; a trio session from the final days of 2011, it features João Lobo, Guidi's drummer who has graced the pianist's two previous Cam Jazz outings, the quartet-based Indian Summer(2007) and larger, more audacious The Unknown Rebel Band (2009). First impressions may be important, but they rarely reveal all that needs to be known. Opening with the title track that bookends the CD—a second variation bringing City to a close 52 minutes later—its melancholic lyricism and rubato style are but two aspects of this trio's considerably broader reach. Still, there's no denying Guidi's ability to create gently appealing waves, supported by Lobo's delicate brushwork (switching to mallets for the closing variation) and bassist Thomas Morgan's sparse but ever-astute choices. After debuting with guitarist John Abercrombie on Wait Till You See Her (ECM, 2009), Morgan has suddenly become a more frequent face for the label, already appearing on two other recordings this year: Tomasz Stańko's Wislawa, with the Polish trumpeter's New York Quartet, and pianist Craig Taborn's trio date, Chants. An introspective bassist with a firm, muscular touch and a deceptively simple, Charlie Haden-like approach, Morgan's unerring choices are never superfluous, the bassist never opting for virtuosic displays when just a few notes will do. If City of Broken Dreams' opening suggests an album of consistently calming quietude, nothing could be further from the truth. Instead, Guidi demonstrates a firmer touch and a penchant for majestic elegance on "Leonie" and buoyant classicism on the rubato "Just One More Time," its serpentine melody opening up for an extended feature for Morgan that, supported only by Lobo's delicate kit work, represents some of the bassist's best work—not just on City, but in recent times. His motif-driven solo moves effortlessly from the lyrical upper range of his instrument to near-rhythmic implications as he moves to the lower register in preparation for Guidi's entry, the pianist similarly expanding upon the tune's etude-like premise. Elsewhere, "No Other Possibility" winds its way from structural ascending lines and dissonant voicings to an open-ended middle section where Guidi proves his mettle in a knottier, more idiosyncratic context that harkens to pianist Keith Jarrett's early, Ornette Coleman-inspired, pre-ECM trio recordings with Haden and drummer Paul Motian. Still on the shy side of 30, Guidi's reputation was already on the ascendancy prior to coming to ECM. Now, with two Rava recordings and this trio date under his belt, Guidi is clearly positioned as Italy's most promising pianist since Stefano Bollani began coming out from under the trumpeter's wing fifteen years ago. Based on the strength of his far-reaching, stylistically unfettered City of Broken Dreams, similar accolades and success are, no doubt, in store for this extremely talented young artist. City of Broken Dreams; Leonie; Just One More Time; The Forbidden Zone; No Other Possibility; The Way Some People Live; The Impossible Divorce; Late Blue; Ocean View; City of Broken Dreams, var. 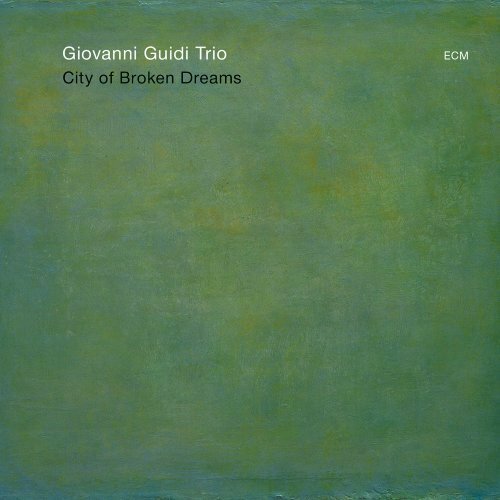 Giovanni Guidi: piano; Thomas Morgan: double bass; João Lobo: drums. 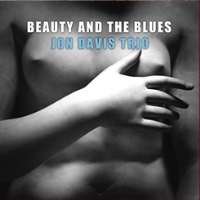 Pianist and composer Jon Davis has been performing and touring with many of the finest jazz musicians around world for more than twenty five years. He has appeared on over 45 recordings, and has contributed compositions to many of them. Although perhaps most widely known for his association with the legendary bassist, Jaco Pastorius, which along with drummer Brian Melvin, led to the critically acclaimed Brian Melvin - Standards Zone trio record, Jon has shown a rare versatility ranging from solo, to Big Band, and everything between. He spent eight years as the house pianist at the Four Seasons Hotel in Manhattan, while maintaining a faculty position at The New School of Social Research. In his debut CD from Venus Records of Japan, Davis delves deep into the blues, not strictly in terms of structure, as he chose a variety of well-known standards that do not conform to the blues form, but more in terms of the spirit and moods. The program starts with a soulful and even a bit funky rendition of "Beautiful Love" and includes such highlights as the beautiful "Moon River" and the bouncy "Mr. Lucky." A very well-executed, romantic piano trio album! Recorded at Tedesco Studio in New York on October 5 and 6, 2012.